Eland are the largest antelope in South Africa. Bow hunting eland South Africa requires patience, top notch bow hunting equipment and a steady hand to place the arrow in the correct spot. Further down in the shot placement section it is said not to take a frontal shot. The magnificent dewlap on eland makes the trophy seem even larger than it is. 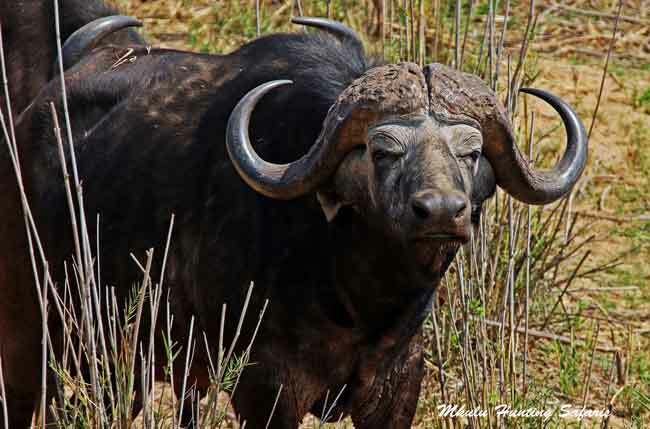 Once a hunter comes face-to-face with one of these magnificent creatures, he will realize why a frontal shot is discouraged. Eland are gregarious which simply means they like to be in herds. The safety in numbers theory works well with these very large antelopes. 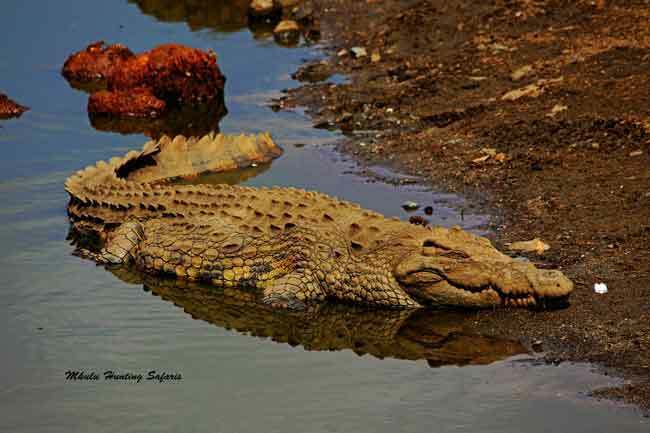 mainly occurs North of the Limpopo into Zimbabwe. The most majestic of the three African subspecies of eland is the Lord Derby eland that mainly occurs in Central Africa. 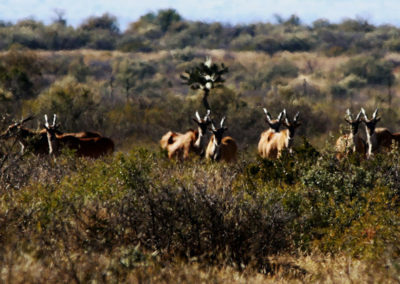 Eland offer a large area in which a correctly placed needle will cause severe damage to the vitals leading to recovery of the trophy within a short distance. Large eland bulls (Cape eland: Taurotragus oryx) can weigh up to 2 000 lb testing the loading abilities of staff and vehicle alike. Good luck on your next bow hunting eland trip. 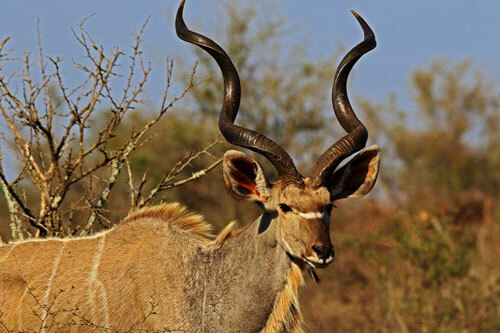 Eland bow hunting prices 2019 will be $ 2 350 for South Africa. 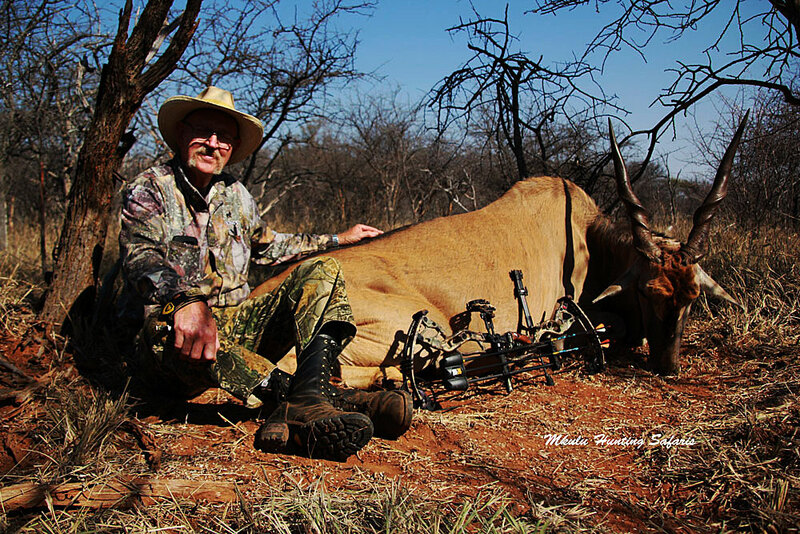 The recommended draw weight for bow hunting eland in South Africa is any increment greater than minimum draw mass. Any draw weight equal to or greater than 70 lb is recommended for bow hunting eland. A minimum arrow velocity of 245 fps is suggested for bow hunting eland in South Africa. 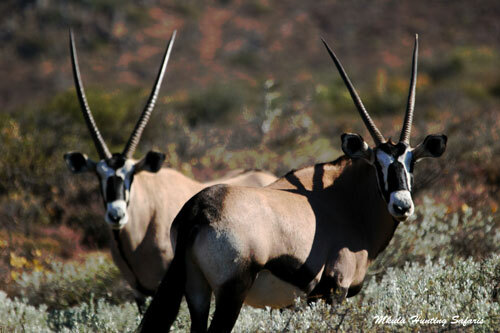 A minimum arrow weight of 450 grains (gr) is suggested for bow hunting eland in Africa. 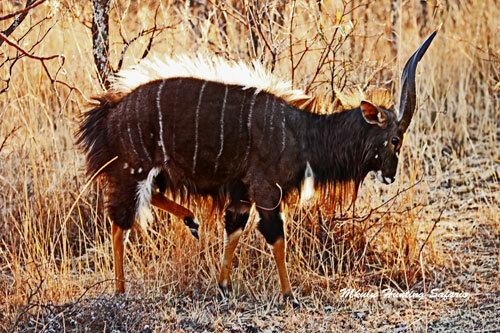 Average shooting distance when bow hunting eland in South Africa from our bow hunting blinds are seldom further away than 19 to 25 yards from your trophy eland. Eland have a rather large area covering the vital organs for adequate shot placement. Place the shot right behind the shoulder of the eland in line with the front leg, one third of the way up from the bottom of the chest to the top of the back. This shot should result in a high heart / lung shot leading to the eland expiring in the least amount of time. Care should be taken in calculating where to place the arrow due to the large brisket area of eland. Please allow extra distance upwards for shot placement. A quartering to shot must only be attempted by experienced bow hunters using bows with at least an 85 lb or larger draw weight. This is due to the large brisket area the arrow needs to penetrate before hitting any vital organs. These shots should also be attempted at short bow hunting distances of 20 yards or less. A facing to bow shot on an eland must be avoided at all cost. Eland bulls have a thick, heavy dewlap that can and does deflect arrows. See the picture of an eland dew lap below. On a quartering away shot care should be taken not to attempt to have the arrow penetrate through too much stomach content. 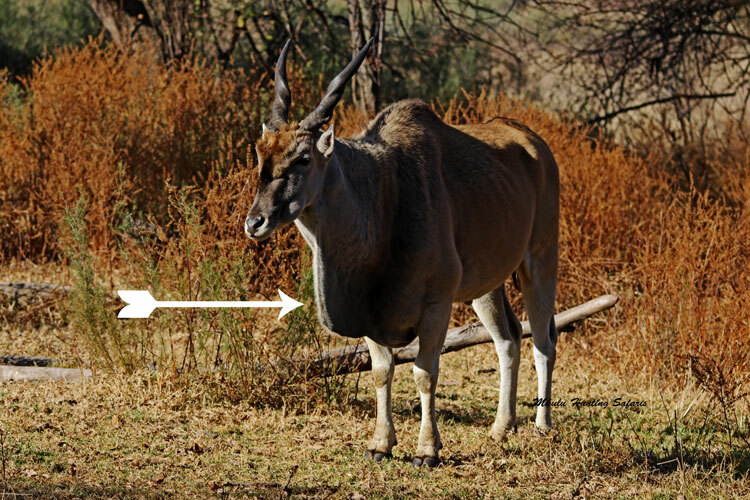 However, a quartering away bow shot on an eland can be placed by bisecting the angle formed by the front feet into a position slightly less than one third of the way up from the bottom of the brisket to the top of the back. Above: The sheer size of the eland dew lap can clearly be seen in this picture. The following tips for bow hunting eland are done from the perspective of still hunting from a blind. Eland usually come in to water during the mid-mornings anywhere from about 9 am – 11 am and then for a second round from about 3 pm onwards till dusk at about 5:30 pm during our winter months. Eland come to water cautiously and weary the whole time. Eland cows and calves will often come to water in a hurry. 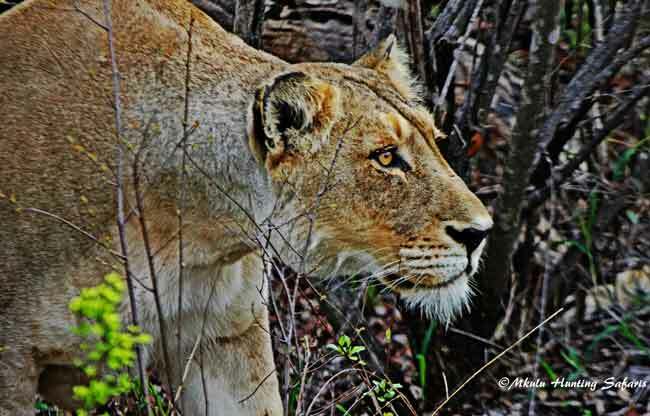 Due to the sheer size of these animals they are one of the more popular animals to bow hunt in South Africa. 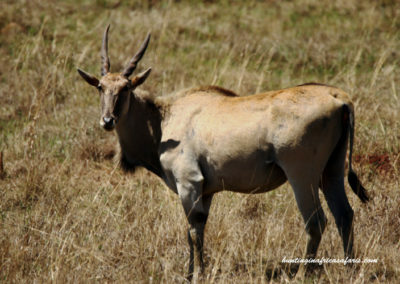 It is better to bow hunt eland from about mid-April to end October during the dry season. We can and do bow hunt eland from January to December.